Caption slip reads: "Photographer: Olmo. Date: 05-04. Reporter: Scott. 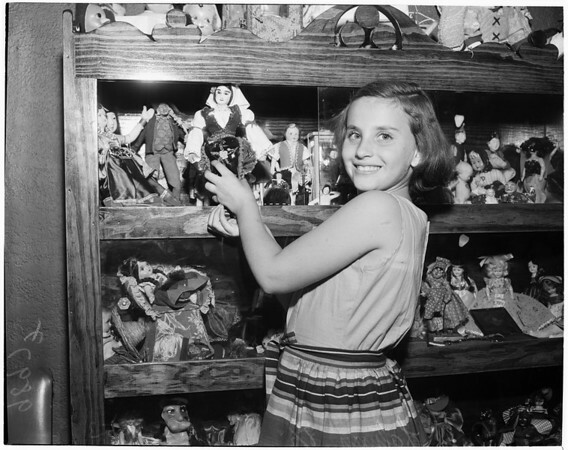 Assignment: Dolls -- 133 S. Edinburgh Avenue, L.A. 1-2: Ann Latman, 8 1/2, adds new India & Yugoslavia dolls to collection. (Monday)."